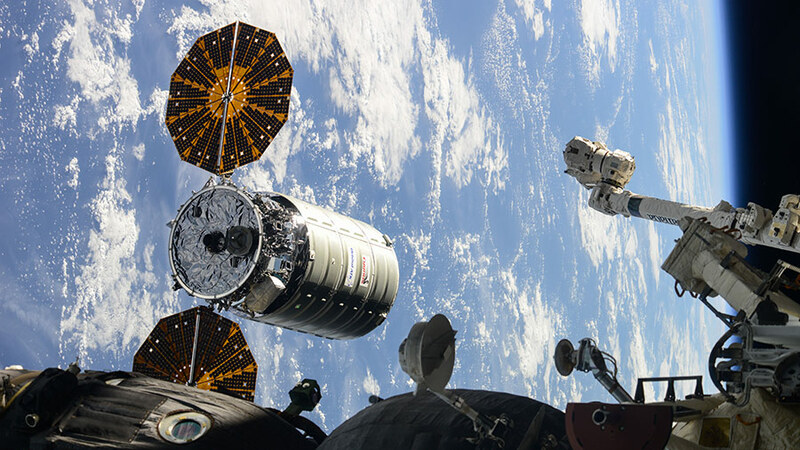 Orbital ATK’s Cygnus resupply ship slowly maneuvers its way toward the International Space Station before its robotic capture and installation during Expedition 47 in March of 2016. The International Space Station and Cygnus flight control teams are proceeding toward capture at approximately 5:20 a.m. EDT. Orbital ATK reports all spacecraft systems are ready for the final stages of rendezvous and space station flight controllers report the orbiting outpost is ready for the commercial spacecraft’s arrival. The spacecraft will deliver scientific investigations including those that will study microbiology, physics, materials science, plant biology, liquid separation and more. NASA Television coverage of capture has begun. Watch live online at www.nasa.gov/live. Learn more about the Orbital ATK CRS-9 mission by going to the mission home page at: http://www.nasa.gov/orbitalatk. Join the conversation on Twitter by following @Space_Station.